Frisson is a French word meaning a moment of intense excitement, a thrill; a word which aptly describes our story and philosophy. Thirty years ago our son was diagnosed with cystic fibrosis. As any parent would, we sprang into action, getting involved in fundraising events to support research into the disease. It was our love of fine wine and food that lead us to these fundraising gala dinners, where we had the privilege of meeting famed winemakers and chefs. Over these conversations we had the opportunity to explore our dream of owning our own winery. One evening we met a winemaker who shared our philosophy and vision – to make truly fine wines that exemplify the energy of the New World, honed with the sophistication of the Old World approach. Our Frisson began! After purchasing a prized allocation of Diamond Mountain cabernet sauvignon grapes our journey as vintners came to life. While we could not have imagined how challenging making wine could have been, it has been an adventure of a lifetime – for which we have relished every moment, every twist and every turn. Today our wines whisper the magic of where they come from, from bud break to veraison and their ultimate showcase, at home in your glass! Happily, our son is healthy, with two sons of his own and we continue to give a percentage of our profits to cystic fibrosis research – so that many other children can grow up happy and healthy – expressing their own frisson! Like about everyone else who has come to Napa Valley, Terry Davis dreamed for years about becoming a part of the Napa Valley world of wine. Dreams have a way of becoming a reality. One beautiful night at a garden dinner party he met Wayne Donaldson, winemaker. During their conversation, Terry told him of his desire to make a great cabernet. On the way out that night, Terry’s new best friend said if he came across the right grapes be would give him a call. So, while Terry may have retired from business in Texas, he hasn’t retired from pursuing his dreams. Paul fully intended to be a doctor, and studied Chemical Engineering and Molecular Biology at Princeton University, with that goal in mind. However, a well-timed year abroad scuttled these plans, and his senior year was spent studying Italian and looking for a job in Napa Valley. In fact, Paul has spent much of his life between the US and Europe, his roots being Italian, and his winemaking style is the perfect mix of Old World finesse and New World exuberance. 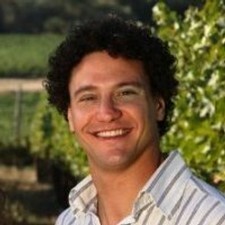 “My goal is to make charismatic wines with lots of flavor and aromatics, without sacrificing elegance,” he explains. “I try to make wines that are very intense and expressive, but they must also be balanced and authentically convey the character of the vineyards.” Paul has worked and studied in Tuscany and Châteauneuf-du-Pape under some of the greats. 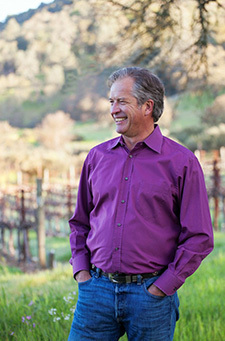 As assistant winemaker to Ehren Jordan at Neyers on Pritchard Hill, He brought his knowledge and artistry back to Napa Valley. Today he makes wine for a few small award winning wineries, including Frisson. 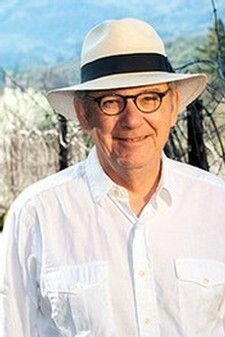 Wayne’s winemaking education and career began in his homeland of Australia and has led him to Napa Valley. With experience in many of the world’s finest wine growing regions including Champagne, South Africa and New Zealand as well as Australia and California, Wayne has been a prominent figure in the international winemaking community for over 25 years. “The challenge and satisfaction for me is making a wine in a style that suits the owners’ expectations. Seeing the grins on their faces when they taste that finished bottle of wine is a thrill. My relationship with Frisson is all that and more. I love working with Terry Davis who is as passionate as I am about finding those special places that grow grapes, that make wine, that make us smile,” says Wayne.